This entry was posted on September 29, 2017 by B4S. Mitel is a company whose prime focus is on Unified Communications (UC), producing the systems, the software and the endpoint telephones which allow seamless business communication. Mitel offer solutions for business from the smallest of startups to international business with hosted, cloud and private PBX solutions for and company, irrespective of size. Mitels' recent acquisition of Shoretel [ http://mitel.co.uk/newsroom/news-releases/mitel-completes-acquisition-shoretel ] sets them firmly as a major force in the industry and well capable of providing all the logistics involved with moving to he cloud. Mitel's business phones include anything from analogue desktops, DECT endpoints through to WiFi phones and SIP/ IP Telephones. 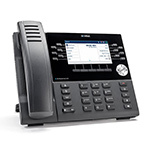 Here we look at some of the most popular Mitel IP phones. 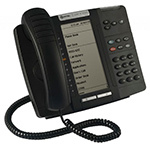 The MiVoice 6940 is a high level executive IP phone which provides the user with an advanced IP endpoint. A desktop phone with a large (7") colour touch sensitive display which combines a duplex speakerphone, USB and Bluetooth headset support and access to mobile phone features via Mobilelink. 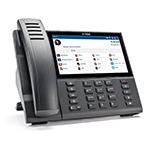 The MiVoice 6940 also includes dual Gigabit Ethernet ports and a mobile phone charging point. The MiVoice 6920 carries all the hardware quality of the 6940, with the duplex speakerphone. The screen is a more compact 3.5" inch which is navigable via a 4 directional tab. The Mitel 6920 will allow connection to Bluetooth headsets with an additional dongle and has its own native USB port for USB headsets. The Mitel MiVoice 6930 is a mid range and flexible member of the MiVoice family which delivers superb sound quality with its 'Speech Optimised' handset and supports analogue, Bluetooth and USB headsets. It has a 4.3" colour LCD screen and is capable of supporting up to 72 lines. 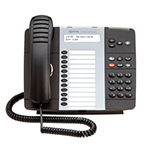 This phone, like others in the MiVoice range can be extended via a variety of add on modules. A perennial bestseller which can be deployed either as a desktop phone or wall mounted. The 5312 is compatible with the Mitel Networks 3300 Integrated Communications Platform (ICP), release 3.3 or higher. It has a handsfree speakerphone as well as a duplex speakerphone and 12 LED lit programmable keys, a headset jack and the facility to set up conference calls from the telephone itself. 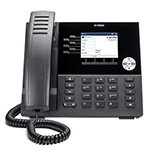 The Mitel 5320 IP is a dual mode phone which has an HTML compatible browser and call handling features such as transfers, on hook dialling, speed calling and conference calls.  UC Express and UC Advanced are also supported. The versatility and reliability of his well priced phone has ensured its enduring popularity in many business situations.